Education Perfect provides great insight into your students' learning. Our in depth Student Usage Report gives you the ability to track individual student progress, and identify key strengths and development areas. This information is valuable for parent-teacher interviews and can be included in student reports. Open Student Usage & Data from your Control Panel. Select the Class report option under the Reports section. Filter the results down to which class, subject, and time frame you would like to view. Scroll down to Student Engagement. From there, you can see an overview of each student's engagement with Education Perfect. 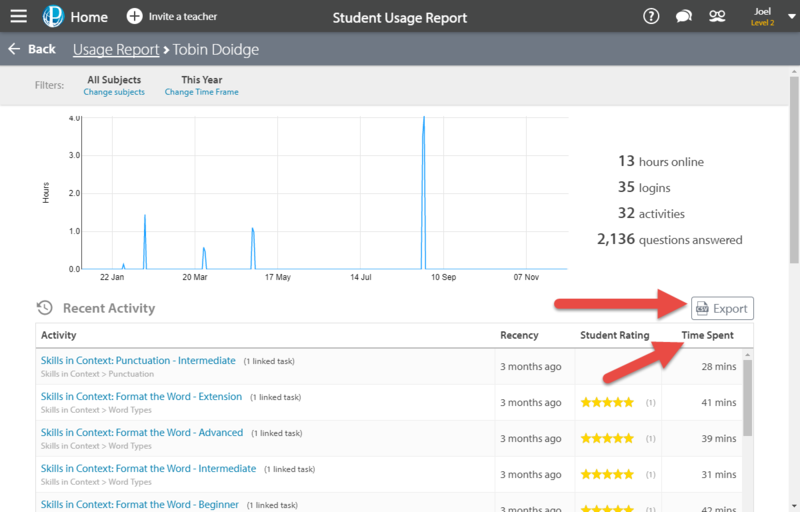 Click on a student's name to see their individual usage report. You can see the total number of hours spent online, how many times the student has logged in, how many activities they have completed, and how many questions they have answered. 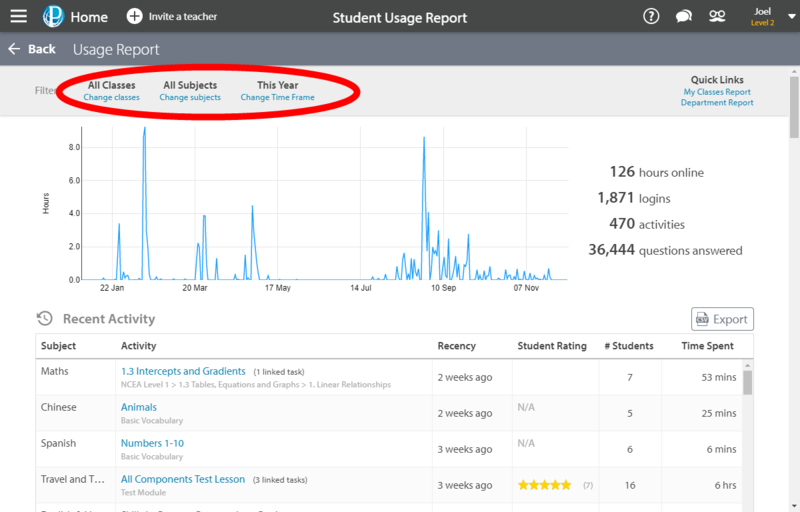 The graph reflects the student's usage within a certain time frame so that you are able to note when the platform was used the most by individual students. Recent Activity shows what your student has been working on recently. You can see how recently they were working on the activity and how much time they spent on each activity. You can Export this information as a CSV file. 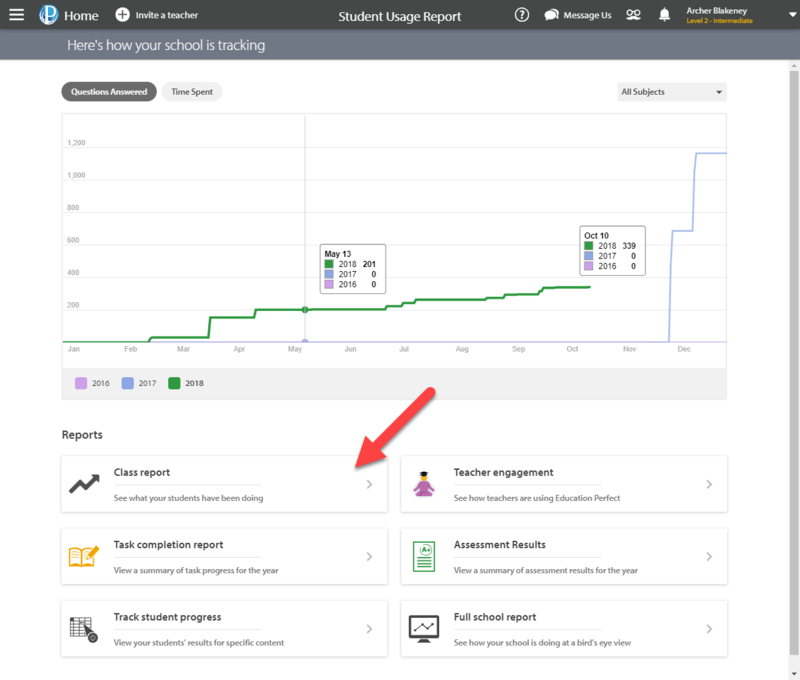 Tasks enables you to see an overview of how your student has engaged with the tasks that have been set. You can see their completion progress for each task that has been set, and can see more details about a specific task by clicking the task title. Assessments lets you see an overview of how your student has engaged with the assessments that have been set. 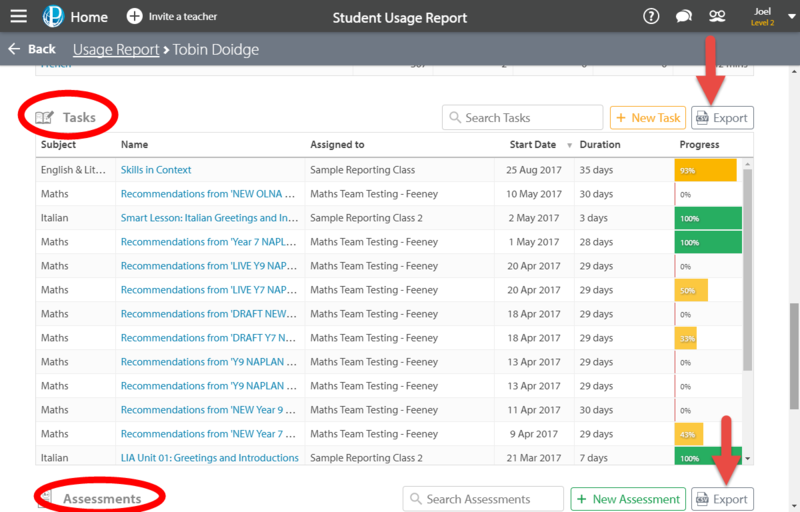 You can see the student's grade for each assessment that has been set and can see more details about a specific task by clicking the task title. Click Export on any table to save the data in a spreadsheet.